with a unique mission and a world-wide impact. Dallas International is a student–focused institution with a special calling to prepare students to cross language and culture boundaries. A large number of Dallas International alumni serve as literacy workers, language surveyors, ethnomusicologists, Bible translators and cross-cultural workers in a variety of other fields. We are privileged to be used to prepare our students to give their lives in service to the marginalized people of the world. Dallas International’s faculty has a world of experience and is Dallas International’s greatest asset. Students are attracted to Dallas International because of its core commitments, and also by the wide variety of service opportunities opened up for students interested in working cross-culturally. Our alumni continue to work with distinction in a growing number of countries, under the sponsorship of an increasing number of service agencies. Dallas International is training the next generation of workers in the areas of language development, literacy, Bible translation and world arts. Our graduates receive exemplary education that is also applicable and realistic in solving the real world problems of illiteracy, poverty, and human suffering. Our graduates’ work makes a difference in people’s lives which will last long after they are gone. This means that your gift will have a global, multi-generational impact. Dallas International has a rich history dating back to 1972 when Texas SIL classes commenced. When SIL decided to seek accreditation for this training, it discovered that a new and separate institution would be required. The founding of Dallas International University under our original name, the Graduate Institute of Applied Linguistics. 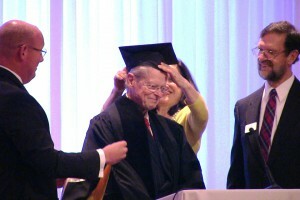 Dr. David Ross serves as first president. Dallas International welcomes first students as the Graduate Institute of Applied Linguistics. Dallas International is accredited by Southern Association of Colleges and Schools to grant MA degrees. Abraham Center begins offering courses. W.W. Caruth III Endowed Scholarship established. Center for Excellence in World Arts established. 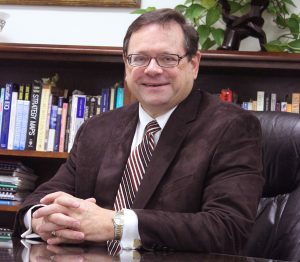 Dr. Douglas Tiffin appointed as president. Name change approved. The Graduate Institute of Applied Linguistics becomes Dallas International University. PhD in World Arts approved by SACSCOC.